From September 12, ViNotion will start doing research to improve the traffic safety and flow using intelligent cameras. For this purpose, two cameras will be placed along the A67 highway near Geldrop. During the investigation that will last for one year, recordings will be made from passing vehicles on the A67. Using the license plate, information on the vehicle will be obtained from the RDW database, such as the brand and model. The camera images are directly anonimized by rendering the license plate invisible. The license plate information will not be stored so that the images cannot be used to identify persons or vehicles. All data is stored using encryption and the images will not be made public in any way. 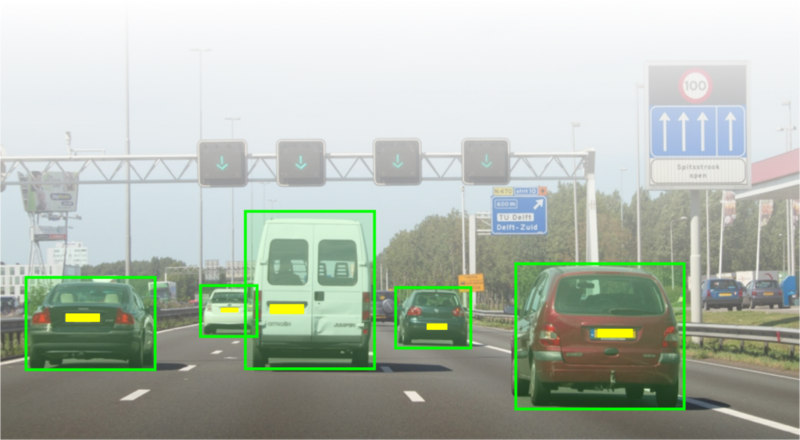 During the research period, the data will be used to train a traffic analysis system to recognize the appearance of different types of vehicles. This system can be deployed in the future for automatic signaling of irregularities, such as broken-down vehicles, traffic jams and abnormal driving behaviour. This allows for more efficient control of traffic information signs and faster alarming of emergency services.